Each of these urns can be engraved as you desire. They are available in any size you need. The base has felt pads on the bottom and is removable with 3 screws. We will do all we can to honor your lost love. 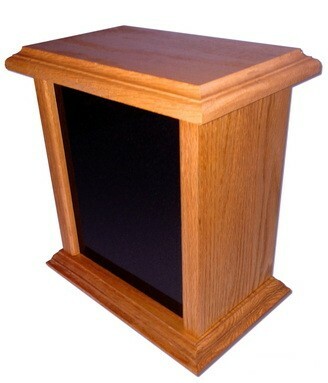 The black area can be laser engraved in granite or you can chose an oak insert.